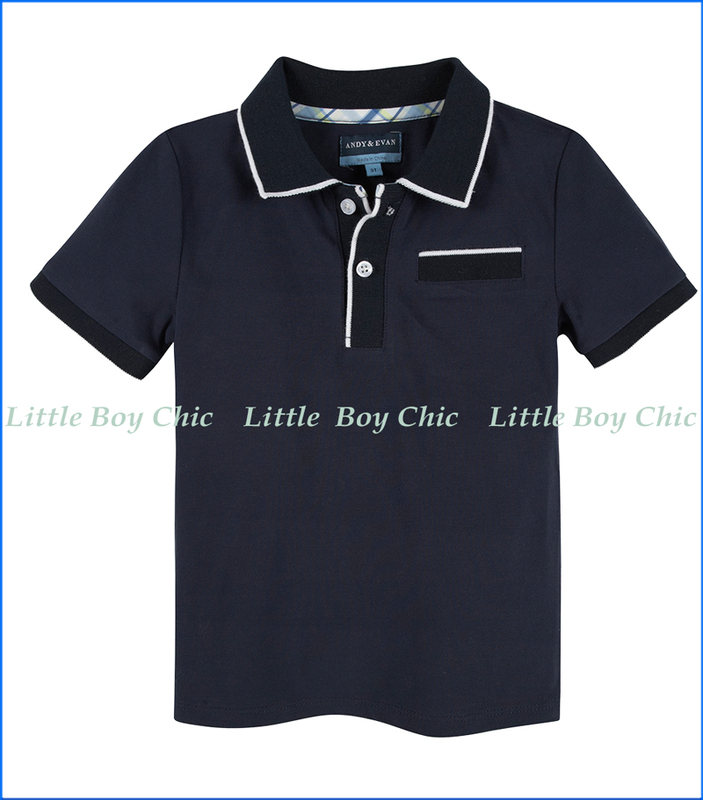 Nothing makes a style look easier than the right polo shirt carefully selected as is the case with this one in navy blue hue. Micro ribbing provides classic polo texture, while the contrast piping in white sharpens the style. Two-button placket. Contrast piping on collar, pocket, and placket. A bit of stretch for stylish fit. Pair with Andy & Evan's Grey Oxford Shorts; We chose Andy & Evan to join our family of LittleBoyChic brands this Spring Season, due to its unique take in design and functionality, and because it believes-in, and stands-behind, every garment it makes.